On August 25, 2018, Shanghai Planetarium (a branch of Shanghai Science and Technology Museum) held a press conference to announce China’s first complete recovery of meteorite craters and the first full record of meteorite shower. Shanghai Science and Technology Museum thus became the first to realize complete recovery of meteorite craters in China. At about 21:45 on June 1, 2018, a fireball flashed across the night sky of Xishuangbanna, Yunnan Province, China and vanished quickly after giving out a strong but transitory light. This rare phenomenon was videotaped by the public. More than 500 meteorites were found after the meteorite shower ended, with a total weight of no more than 50 kg. The largest main crater, as well as the physical objects of meteorite No. 1 and No. 2, was shown at the conference and they will also be on display after Shanghai Planetarium opens. Key information such as the velocity and direction of meteorite before landing can be obtained by reverse engineering, which are thus of great value for scientific research. 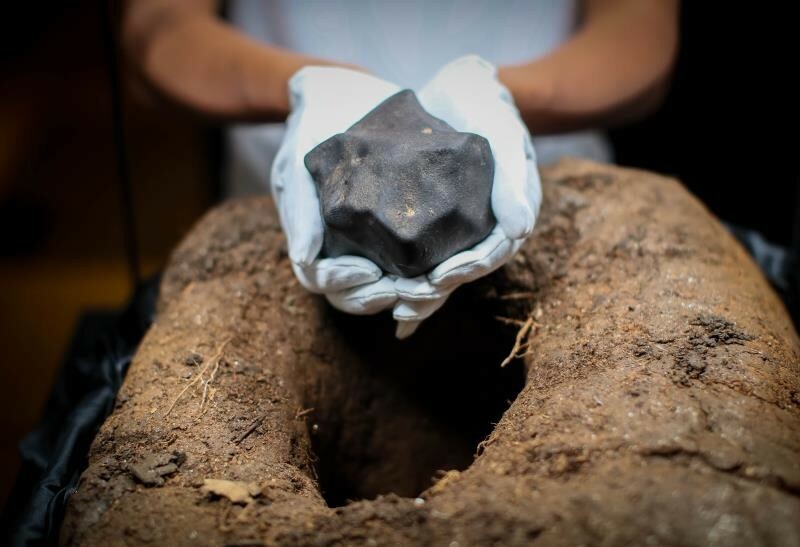 Meanwhile, something new has been discovered on a 10-kg iron meteorite collected by Shanghai Science and Technology Museum, and it will receive the international nomenclature of "Yuli Meteorite". It has been the first time that Shanghai Science and Technology Museum has succeeded in applying for international nomenclature for a meteorite sample. It will be of great significance for future collection and research of meteorites in Shanghai Planetarium.